For a quick summary, please see my LinkedIn. Hopper is one of the fastest growing travel apps ever with over 35 million installs since its launch in 2015. Combining massive amounts of data and machine learning algorithms, it predicts and analyzes airfare and accommodation to save users money and enable them to travel more often. It is now the most downloaded travel booking app in North America and travelers have booked hundreds of millions of dollars in flights and hotels around the world using Hopper. Part of a small team focused on acquiring new users and helping monetize existing ones. Seahub is modernizing the cruise industry, a $42B market that is still being served by brick-and-mortar travel agents and web agencies started in the 90s. Part of the Flighthub/Justfly Group (500+ employees) and featured by Forbes, the Washington Post, CNBC, Marketwatch, the LA Times, Lonely Planet, Yahoo Finance and more. Front Row Ventures is the first student-led venture capital fund in Canada investing solely in student-run startups. We’ve raised a $600,000 fund that we’ll be investing in 24 companies over the next 4 years. As a partner, I focused on sourcing student startups, leading due diligence, and creating value for student founders. Busbud is the bus travel booking website with the largest coverage, serving over two million departures to travelers around the world every week. Search, compare and book tickets from hundreds of bus companies in 10,000 cities across 63 countries and 500,000 bus routes. With so much SEM content being written by blogs or agencies for the sake of blogging, I found it frustrating to sort through all the clickbait to find quality content. SEM Stash is a project I created between semesters to aggregate the best articles, tools and resources for search engine marketers in the “stash” format that’s been so popular lately. No clickbait allowed. I initially launched on Product Hunt where it got over 300 upvotes. Movekit is a side project I started in May 2015 – we provide kits containing all the move-in essentials students need, delivered to their apartment the day they move-in. I started out with a 25-sale beta test that I used to test the concept and get some early feedback. I did this mostly through content marketing, like creating a a short blog post called “Your Guide to Solin Hall 2015” about one of the McGill residences, loaded it with keywords and sent it to some of the incoming students. It’s since been viewed over 1,000 times and drove about half my sales. For summer 2016, my new cofounder and I decided to switch over to B2B, by targeting student residences rather than students. This allowed us to reduce our marketing costs, simplified distribution, and allow us to sell dozens of kits in one transaction. We’ve partnered so far with two residences housing 400 or so students, and are in talks with a company that owns student residences to provide our kits to all 30,000 of their students. 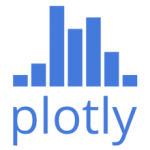 I applied to be a social media coordinator at Plotly, but was instead offered a position as a blog contributor during the interview. I enthusiastically said yes, and then realized the next day that I knew nothing about data science. I spent the next few weeks reading everything I could about data visualization, whether it was blog posts, studies, or The Visual Display of Quantitative Information by Edward Tufte (still one of my favorite books). Eventually I was able to write my first (pretty basic) post, that was shared about 140 times online. I got better at both writing the content and making the data visualization that accompanied it over time. My last post was about effectively using color in data visualization, combining what I’d learned about data visualization and graphic design in one post. It was shared over 300 times (mostly on LinkedIn), including by a Harvard mathematics professor. Here‘s one of the interactive graphs I made from the post. At the Dobson Centre, my role mainly involves working to coordinate the ambassador team, comprised of students in each faculty who promote our events and entrepreneurship initiatives. Last year I was events coordinator, where I helped organize about a dozen events related to entrepreneurship, many of which had the highest turn-out we’d ever had. I also worked assisting the judges at the Dobson Cup, McGill’s annual startup competition, where over 200 teams competed. As I was in the room during 50 or so pitches, I got a lot of insight into what works and doesn’t work in pitching by hearing the judges’ feedback after each pitch. I’ve directly applied this knowledge both in class and while working on Movekit. Working at the Dobson Centre has allowed me to meet a large part of the McGill entrepreneurship community, whether it be founders, investors, employees or just people who are interested in startups. I also got to attend C2 MTL with the Dobson team, where I was further able to get to know the Montreal startup community.